The examen DELE and the SIELE are not identical twins, but they share the same parent (the Instituto Cervantes), have the same curriculum, and enjoy the same status. The only true difference between them, is how they operate. The DELE is traditional, being written long-hand with a pencil on paper, and is limited to a handful of fixed exam dates. The SIELE is hip and cool, very much into the modern ways of the world – so, it is done ONLINE. The new SIELE is flexible – you choose your own exam date, plus which of the modules(s) testing the four communicative competencies you want to do on that day. It is quick – you can register up to 48 hours in advance, and get your results within three weeks (as opposed to many months for the DELE). 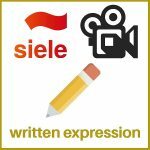 The SIELE is risk free – because it is drawn up as a multi-level exam, you WILL get certified, at your correct level (A1, A2, B1, B2, C1), based on the level of communicative competency you demonstrated. This is because, unlike the DELE, you don’t have to register for a specific level, which means in the SIELE there isn’t the DELE’s risk of failing. The SIELE enjoys excellent technological back-up, because it has the educational division of telecoms giant TELEFONICA as partner. SIELE therefore boasts a very informative website, also accessible in English. There is a truly comprehensive exam guide available in English, for download. If you click on the icons below, it will link you automatically to the website, or to the exam guide, or to four different short videos explaining how each of the four communicative comptencies are tested in the SIELE. 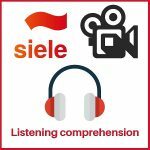 So, how do the Siele and the DELE exam compare? I am the official coordinator of the accredited SIELE exam center in la Antigua Guatemala. On the other hand, I am very proud of my DELE C2 diploma. Furthermore, in real life I actually am the father of non-identical twins. So, I feel like a parent who would not want to negatively compare one to the other. They are from the same pedigreed stable (with the SIELE boasting a cross-continent range of godparents, in the form of the University of Salamanca, the National Autonomous University of Mexico, and the University of Buenos Aires) and they represent the same gold standard for certifying communicative competency in Spanish. They are both based on the Common European Framework, using the exact same curriculum. 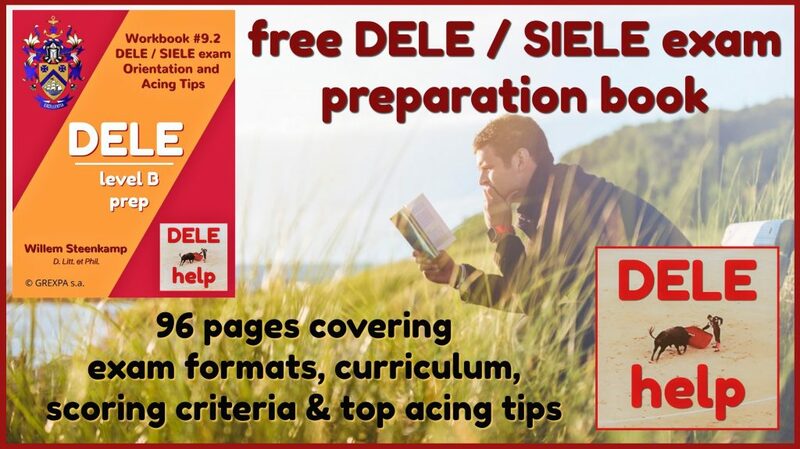 Level A2 for SIELE is exactly the same standard as A2 for DELE, and so on for all the levels (except for the top C2, which is only offered as DELE). The fundamental truth is that the only real difference lies in HOW the exams are taken, not in WHAT they test. 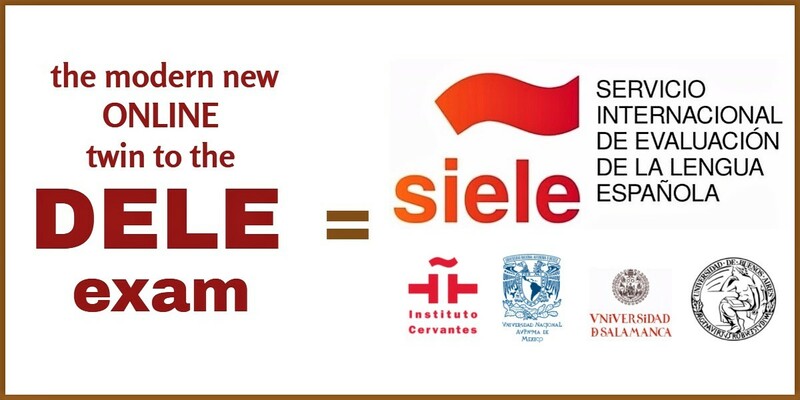 The difference in the HOW, is simply that – with the SIELE – the Instituto Cervantes and its partners have stepped into the internet age, with all the convenience and flexibility that modern information technology make possible. For students who need certification in a hurry, the SIELE overcomes the long registration process of the DELE exam, the wait for a fixed exam date to come around, and then the usual two to three months wait for the results to be known (plus months more before the diploma finally arrives!). In the case of the SIELE, you can register for the date of your choosing (at our exam center here in la Antigua, for example, we offer slots six days per week). You need do so with only 48 hour notice, and you get your results within three weeks – very often our students get theirs the very next day. In addition to the SIELE Global, there is the option of taking individual competency tests, in different combinations. So, how do the SIELE and the DELE exam compare when it comes to the type of tuition / exam preparation that we do with candidates? There’s practically no difference, because the curriculum and the scoring criteria are the same. It is, after all, the same four communicative competencies that are being tested, to the same standard. We use the same material, whether you are aiming for DELE or SIELE – just familiarising you towards the end with the differing logistical demands of the distinct examining technologies. Anyone who is familiar with the typical questions of the DELE, will immediately see that the questions in the SIELE are of the exact same ilk. We therefore use the same DELE model exam books in the preparation for both. 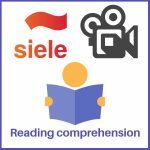 We find that the SIELE is an excellent tool for students who have high end goals, but who are unsure of the DELE level they want to tackle on the way there. 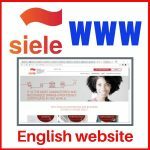 Instead of breaking your head about what DELE level to register for, do the SIELE Global instead – you will get an authoritative certification of your current level, without the risk of failing, and it will serve as an excellent diagnostic of your strengths and weaknesses, which one can then address on the way to the ultimate goal. 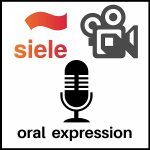 Evidently, for students who only need, or only want an authoritative report on their oral interaction competency, the SIELE S4 offers the singular focus and opportunity which the DELE (with its obligation to always do all four competencies) simply doesn’t. The SIELE’s individual permutations also allow for effectively spreading the exam burden over different days – by doing S2 and S3 on different dates, one can amass certification for all four competencies, but achieved at an easier pace. In the end, though, obtaining the C2 diploma requires doing the DELE, at that level. The DELE diploma is issued by the Spanish ministry of education, and is valid life-long, whereas the SIELE Global certificate is issued by the SIELE partners, and has a validity of five years. In the final analysis, the best course for me to steer with regard to how the SIELE and the DELE exam compare, is not to set them up as if in competition with each other (which they certainly are not) but rather to applaud the flexibility and the expansion of options that the introduction of the SIELE has added to the Cervantes family. The key to succes for Cervantes with DELE / SIELE lies in now being better able to answer to the clearly varied needs and practical circumstances of each individual in the vast collective of students – students who rightly realize that competency in Spanish is a great asset, and who want to obtain the best, most credible certification possible. 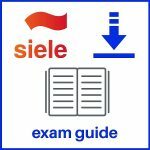 In your opinion, how do the SIELE and the DELE exam compare? Please send us your comments and questions – we look forward to engaging with you. Whatever format of exam you have in mind – buena suerte with your preparation!